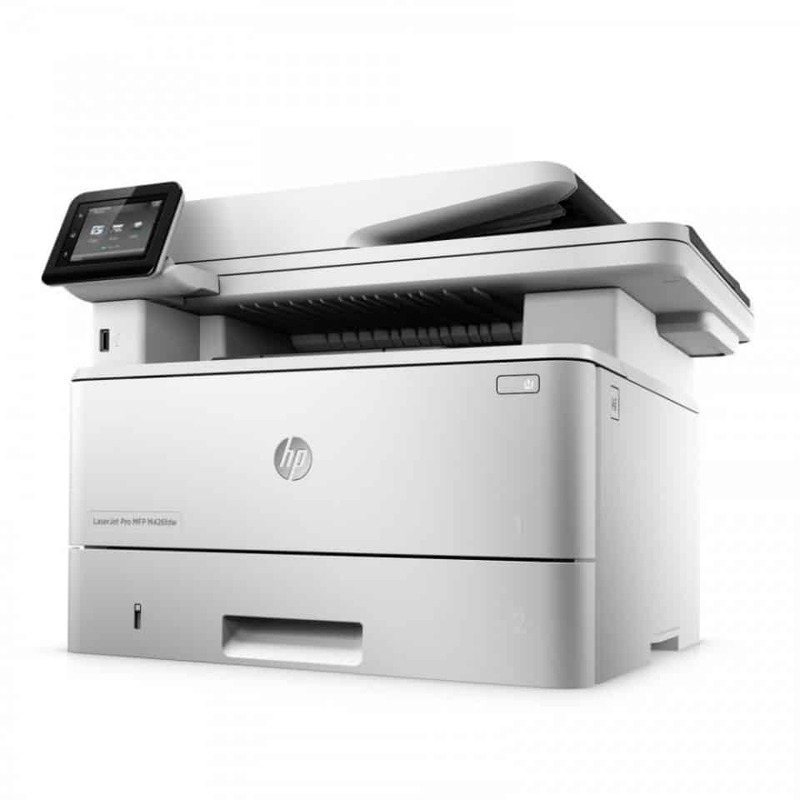 The HP LaserJet Pro M426FDW Mono A4 Multifunction Printer does more than just print – it can be used to fax, scan, and copy documents as well. Fast and efficient. You can scan documents with a single-pass or via two-sided scanning and send it directly to your e-mail, cloud, or network folders. Simply tap and swipe the MFP M426’s touch screen and manage all of your print jobs. You can count on this printer’s professional quality print and speedy printing process, thanks to its precision black toner and two-sided printing feature. Plus, you get more value for your money with the Original HP High Yield Black Toner Cartridges. The HP LaserJet Pro M426FDW Mono A4 Multifunction Printer also lets you manage your print environment with the HP Web Jetadmin. It enables you to track printer usage and plan on any future budget for printing. Should you need to print documents from Microsoft Word or PowerPoint, you can easily print them with the use of a USB stick. You should also take advantage of its mobile printing option and print documents anywhere in the office with the use of your mobile device. This multi-function printer fits perfectly in busy offices with high printing demand.